Steph received her Master’s Degree in Social Work from New York University in 2006 and is a Licensed Clinical Social Worker in New York State. Alternatives was her first-year field placement and the fit was so ideal that she continued to work here throughout graduate school and in the years leading to her becoming full-time. After receiving her MSW, Steph’s first job was at St. Vincent’s Hospital in the HIV/AIDS Outpatient Clinic where she was an Adolescent Specialist, helping clients navigate and gain access to resources along with providing individual and group therapy to HIV positive youth. Shortly thereafter, Steph was hired to work at internationally renowned Bellevue Hospital, where she was exposed to arguably the top psychiatric training in the world. During her tenure at Bellevue, Steph worked on the Resident Training Unit where she provided clinical training to medical students, psychiatric residents and psychiatric fellows, while simultaneously working with psychiatric inpatients who were suffering from some of the most severe chronic mental illnesses. In January, 2008, having decided that her true calling was where she’d always started and ended her days, Steph came on full-time at Alternatives. She has since become an owner. 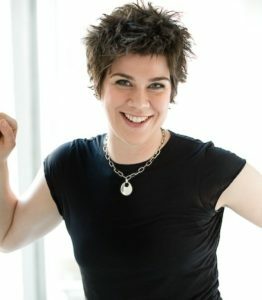 After experiencing the transformative impact that couples counseling had on her life and on her relationship with Darcy (whom she married in 2009), Steph began training to become a Certified Imago Relationship Therapist, and today she specializes in working with couples, teaching them relationship skills. Her life’s mission is to help couples create their ideal relationship by enhancing their communication skills and deepening their emotional connection. Steph continues her couples training today through The Gottman Institute, one of the 2-top recognized theoretical perspectives in relationship theory (Imago Relationship Therapy is the other). Steph is also trained in and integrates EMDR (Eye Movement Desensitization and Reprocessing), when working with clients who’ve been traumatized and/or whenever it is appropriate, to help the process move along. When Steph isn’t working with clients, she is either taking care of the four furry babies she shares with Darcy: Teddy-Bear, Luna-Bear, Buddha-Bear and Sugar-Bear (you can follow each of them on IG), or she’s working out at her favorite CrossFit box. All content and design copyright © Alternatives Counseling Associates, LCSW, PC. 2017. All Rights Reserved.